Build it yourself or buy it pre-assembled, here is a funny MIDI Arpeggiator ! An arpeggiator it is a device which takes chords (From a MIDI keyboard, for example) and converts them into rapid sequences of notes, which can then be played through MIDI-compatible synthesizer hardware or software. Arpeggiation is a very common technique in electronica and chiptune music and is an excellent creative technique. 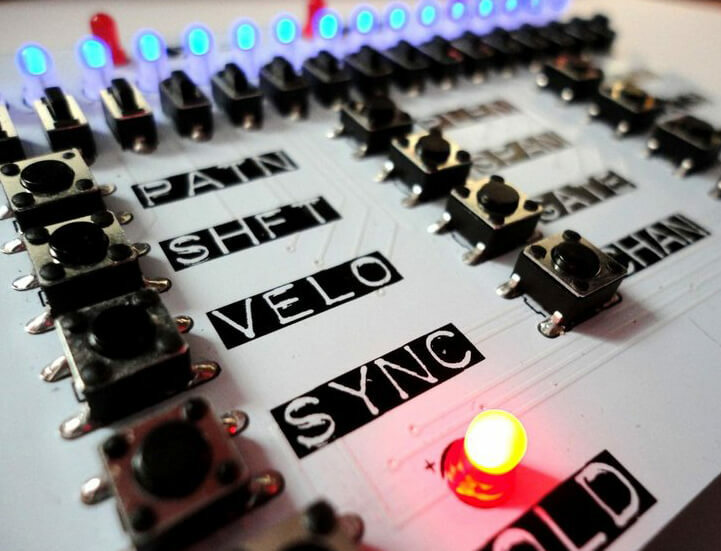 With an ARPIE kit you can build your own fully-featured arpeggiator for much less than the costs of a commercial hardware arpeggiator. In your ARPIE kit you will receive two, high-quality printed circuit boards and all the components and hardware required to assemble the device, including two ready-programmed microcontrollers (Atmega328 and PIC12F1822). A PP3 is required for battery operation (not included) or you can run from a DC supply. Works great with other ARPIES. Cheap enough to use a bank of hardware arpeggiators in a composition or performance setup for hands-on tweaking. 6 pin “Hack Header” expansion port breaks out power and four GPIO lines.